The founder of Android, Andy Rubin, has unveiled his new Android smartphone – Essential. 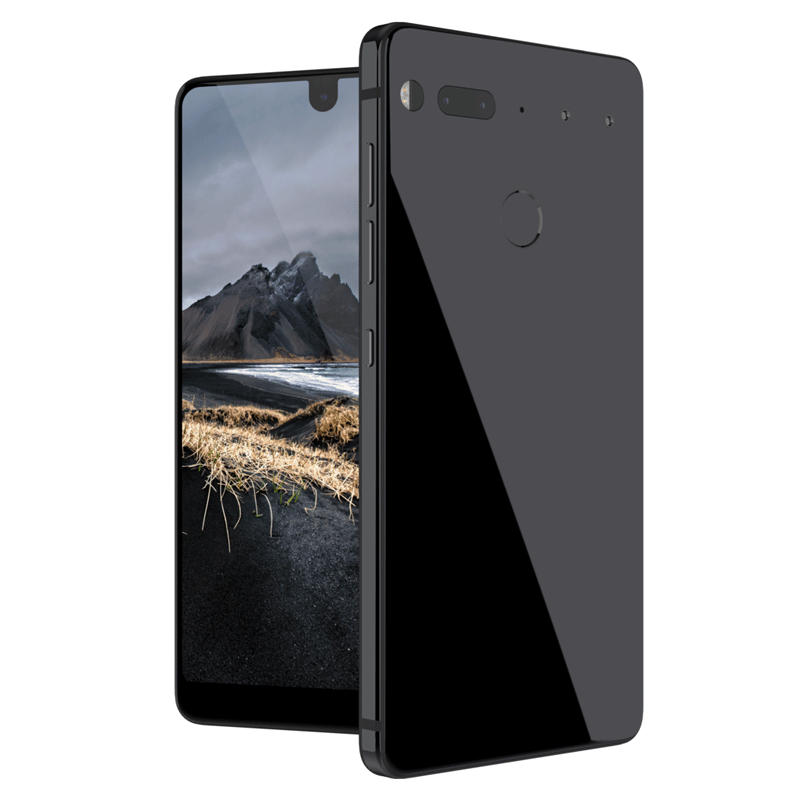 Dubbed the ‘Essential Phone PH-1’, the handset features a 5.71-inch, 2,560 x 1,312 edge-to-edge bezel-less display. It boasts Qualcomm’s high-end Snapdragon 835 processor and what Rubin claims is ‘one of the world’s best phone cameras. The phone is made out of titanium, instead of aluminum, to help it survive accidental drops. It features a ceramic back. Phone is modular and can be fitted with a 360-degree camera accessory through a magnetic connector. This clips to the rear of the phone, weighs 35g and includes a dual 12-megapixel fisheye sensors that can capture 4K 360 video at 30fps. This is World’s smallest 360 degree camera that attaches to the phone through two magnetic ports. The back has a 13-megapixel dual-camera system designed for low-light photography. The front camera of the Essential smartphone is a 8MP unit with a 16:9 aspect ratio. It comes with 128GB of inbuilt storage, a 3040mAh battery, a USB Type-C port and a fingerprint sensor. The screen is protected with Corning’s Gorilla Glass 5 and it boasts a 19:10 aspect ratio at 500 nits brightness. Average LCD displays produce between 200 to 300 nits. There is no traditional 3.5mm headphone jack, but a USC Type-C to 3.5mm dongle will be shipped in the box. The handset measures 5.6 inch (141.5 mm) tall, 2.8 inches (71.1 mm) across and 0.3 inches (7.8 mm) thick. It will weigh less than 185 grams (6.5 ounces). 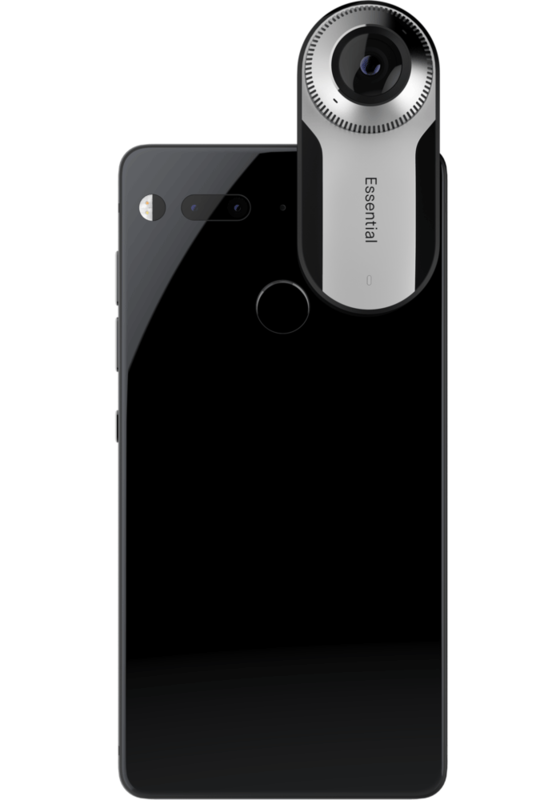 Essential is launching the phone in the US to begin with, and it will be rolled out globally the near future. It costs $699 (approx. Rs.45000). The phone plus the camera module will be available together for $749 (roughly Rs 48,400) for a limited period. It comes in glossy ceramic in black, grey, white and aqua green. Rubin believes the phone is an ‘iPhone killer’ and can take on the likes of Apple, Google and Samsung. This entry was posted in News and tagged andy rubin, essential phone, founder of android, iphone killer.